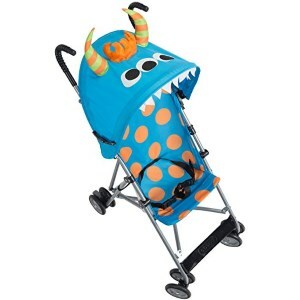 Baby strollers have to be a lot of things, but above all, they should be able to keep the child safe at all times. That doesn’t mean that they have to be ugly in order to provide the functionality both the parent and the baby need. We’ve selected some of the most eye-catching models we were able to track down while doing our research. If you have the time and availability, don’t hesitate to browse through our selection. It goes without saying that all of these units have received rave reviews from parents. 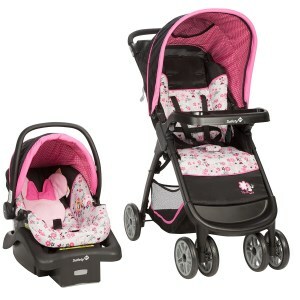 The coolest thing about the Minnie travel system is that it enables parents to make the most of their stroller. In fact, this one can be used as an infant car seat with a weight capacity of four to twenty-two pounds. The product has been outfitted with an adjustable base, and one of the most important aspects about it is that it comes with a five-point harness on the stroller that can be converted into a three-point-one as your child grows. It’s also worth noting that the stroller has been equipped with a storage basket so you can keep baby essentials like diapers, a bottle, or gentle wipes. One of the worst things about the current market is that the number of strollers and baby carriers developed for two kids is extremely low. This particular product is one of the critically acclaimed choices that we were able to come across. It can hold up to two children whose weights aren’t above 50 lbs each. The rear bench seat can be used by an older child and is padded for comfort. Some of those who have bought it say that it is compact and solid. Other parents note that it is an excellent choice for ventilator babies as the rear can be used for the equipment they might need. Another unpleasant thing about the offer that the market has nowadays is that there are few products designed for twins. Fortunately, we have managed to find one. 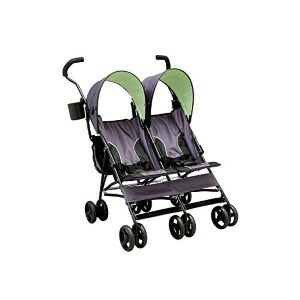 This unit comes with a lightweight frame and both of the strollers have been outfitted with foldable umbrellas. Each of the babies can be restrained with the help of each of the two available five-point harnesses. The front wheels have a 360-degree shock-absorbing capability, so the strolls will be as smooth as possible. Perhaps it might be less fancy when compared to others, but the fact is that this choice is definitely functional for someone who has twins. 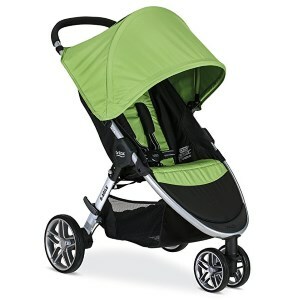 Jogging strollers have to be comfortable to use, convenient, and versatile enough to be carried swiftly and efficiently. This one has been outfitted with three wheels and has been designed in such a way so as to ensure that it is easily foldable. The product can be utilized for a child whose weight hasn’t gone above 75 lbs, so it has a superior weight capacity compared to other models. 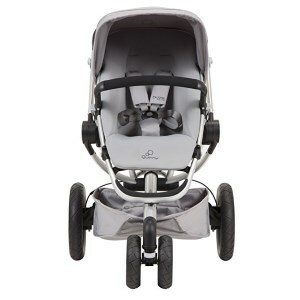 The oversized canopy can ensure that the baby remains comfortable even when the sun is shining brightly in the sky. With several car seat adapters, you’ll be able to make the most of this product. This model is another you should check out if you’re all out of ideas and if you already own a Britax car seat. In this respect, the stroller is compatible with most car seat models manufactured by the same brand. The three-wheel configuration of this option makes it a great choice for those who go out jogging. The lightweight frame is manufactured of quality aluminum, which means that the unit is both reasonably durable and easy to carry around. The under seat storage comes in handy for things like diapers, wipes, a moisturizer, or a baby bottle. Of all of the other units we have encountered while doing our research, this one is by far the coolest. Sure, it is somewhat limited as it cannot be used for children who aren’t infants. However, it looks incredibly cool, and it has been outfitted with all of the safety features you might need to feel at ease. In this sense, the product boasts a 360-degree swivel lockable front wheel, a rubber rear wheel, as well as a five-point sleep basket. It also comes with an under seat storage compartment and an adjustable handlebar complete with a belt. 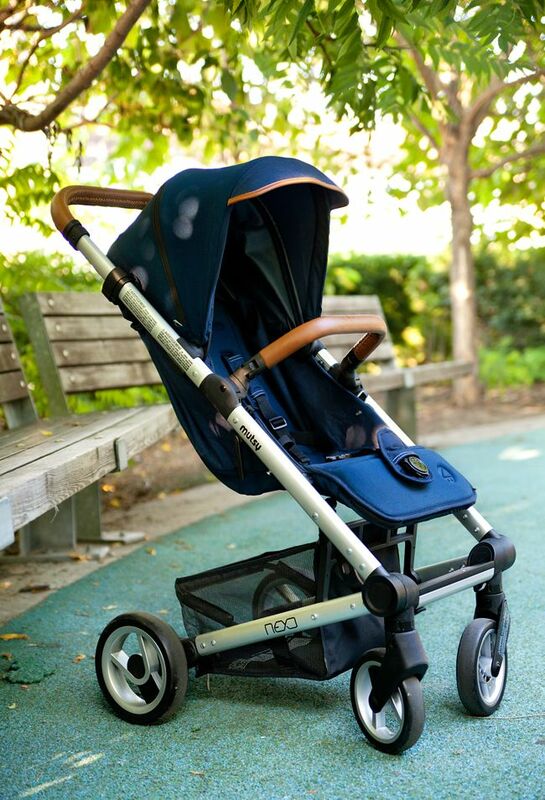 If you want to make the most of your jogging routine, but you also want to be sure that the stroller is entirely safe for the baby, perhaps the Quinny should be one of the models you ought to consider. It is very easy to fold and comes with a reversible seat, which means that you can run and watch your child at the same time. 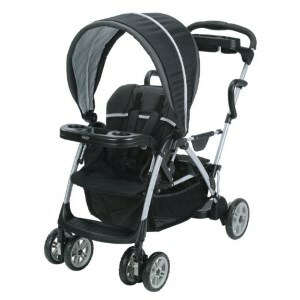 The large canopy will keep your baby comfortable at all times. The basket at the bottom makes a great storage compartment for when you have to pick something up from the store or if you want to keep various baby essentials on you. If you do decide to go for this product, you need to keep in mind that its design might be better than its safety features. Because of the simple frame, it has been equipped with, this choice should only be used in the presence of a parent or guardian. There’s nothing stopping one from taking a walk with this stroller. But it might not be just as good for running moms. It is, however, one of the right alternatives for days when you have to go visit your friends or the baby’s grandparents. Plus, it looks good, so why not give it a try? Just like another model we were mentioning earlier on, this one comes with a separate bench in the back where an older child can sit while you’re taking a stroll. The product is compact, lightweight, and maneuverable, therefore making it possible for both the parents and the kids to feel at ease while using it. The unit is accompanied by a universal car seat adapter, and it has been found to be compatible with most brands. With the car seat installed, the front part can be used for newborns and toddlers. The rear can be used for kids whose age is at least two and a half. 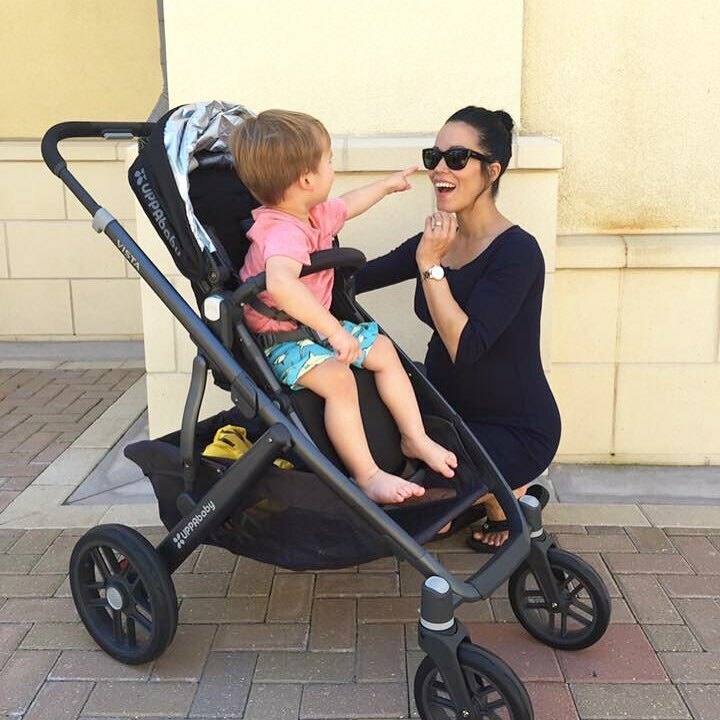 The coolest baby strollers are those that provide child safety and comfort and which make you feel relaxed when you go out for a walk with your baby. There are endless reviews and YouTube videos about cool baby strollers you can analyze when you wish to make a wise choice in the case of this accessory that you need as a parent. However, having so many options at your disposal is a tricky opportunity for most users. On the one hand, it offers you a wide range of options to consider but on the other hand, it makes it more challenging for you to choose fast and wisely. If you feel like this is a challenging task for you as well and that you do not have the necessary time to engage in a thorough research on your own, you should know that this buying guide has been created specially to offer you proper assistance in dealing with all of the hassle. The guide was written based on the best baby strollers reviews to help you choose the best product for sale based on essential features that it should offer. 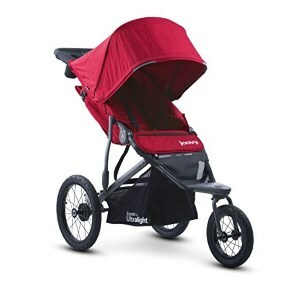 Finding the best baby strollers for runners is no longer an impossible challenge to overcome if you become familiar with essential factors that should influence your choice. 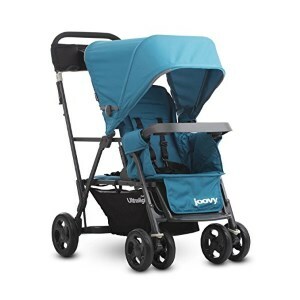 This straightforward guide reveals all the important features that you should consider in the case of the best baby strollers for runners and other parents, as well, so that you might be able to analyze the products at your disposal correctly. Everything from the size to the quality of the materials used for their manufacturing is important and can highly influence your choice. Most parents in the blogosphere and who are active members of online communities are primarily concerned with the safety that modern baby strollers ensure for the child during the time he/she spends in them. The first things you need to focus on in the case of these items is proper safety and resistance over time. The product should be fitted with strong gripping systems so that it might be stable. Moreover, it should feature a 5-point safety harness (shoulder, leg, and waist). Additionally, it must come equipped with strong and effective brakes. The front protection bar is often metallic and must be clothed in a soft fabric so that the child might not get hurt in it. Furthermore, the wheels should be made out of high-quality materials. Given the fact that the child’s skin is hypersensitive at an early age, the comfort of the stroller is influenced, among other things, by how soft the material used for the cover of the product is. Therefore, the quality of the fabrics used in manufacturing such products is another important criterion involved in the proper selection of this accessory. It is recommended to choose a product in the case of which the shell, the cover and the mat are made from natural materials that have been previously tested for toxicity and flammability and that have no synthetic content or toxic dyes that could harm your baby’s health. It is preferable to choose organic cotton or organic fabrics in this case. Proper attention must also be paid to the material used for the cover, which must be resistant to both cold and hot circumstances as well as wind, rain or other adverse weather conditions. The UV protection version helps keep your baby safe during summer walks when high temperatures put the baby at a risk of suffering from sunburns. The weight of the product has become one of the most important criteria that guides modern parents in choosing the perfect stroller for their baby. Take a look at the options that weigh as little as possible, a feature that turns them into practical accessories that are easily transportable and maneuverable. There are modern, last-generation items that weigh only 5 to 6 pounds, which can make your work a lot easier when you have to carry these on the stairs while holding your baby in your arms and the baby bag on your shoulder. You will also be surprised to discover how many essential accessories should be included in the case of these items. Some are included in the initial purchase price whereas others are optional and feature separate costs. 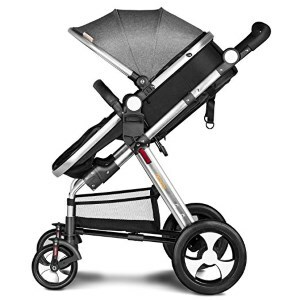 From the multitude of accessories that manufacturers provide for the comfort and safety of the baby in the stroller, make sure that the model you purchase has the minimum essential accessories: a shopping cart, the bag for accessories and diapers, the rain cover, as well as the winter and the summer cloak. Whether it’s a card or an umbrella type of item, it is recommended to choose a foldable modular system so that you might be able to travel easily with it. First, you must be able to easily enter the item into the car’s trunk. Moreover, the product you choose should not occupy a lot of space on the train or in the luggage compartment found on the plane. You never know where you might decide to travel so you must always have a flexible device at your disposal. Folding strollers are not only indicated for the ease with which you can travel when you rely on them but also because you can carry them easily in narrow elevators or when climbing stairs, as well as for the ability they have to help you save space in your home when storing them. Additionally, it is recommended for you to opt for a model that features a more compact folding, possibly with detachable wheels so that its dimensions might be reduced as much as possible. The folding system should be easy and quick to do with one hand, so that you might not have to leave your child unattended, in unapproved places when you recline it.